Showing Products 61 to 81 of 152 Products. 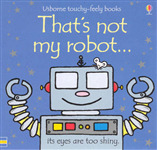 Suitable for use with babies from birth onwards, this book presents a design to provide visual stimulation. It features a series of objects such as a flower, a fish and a boat in black and white with contrasting colour highlights for the babies to focus. 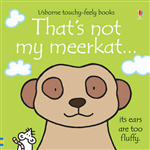 Cute and curious meerkats have become one of the most popular furry animals. 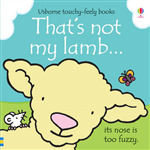 Suitable for adults and children alike, this fluffy, touchy-feely board book is part of the bestselling "That's not my..." series. Following the success of the Cavemen Sticker Book, this title features a cast of Ancient Egyptian characters. It offers big, double-page spread scenes that wait to be populated with over three hundred stickers. 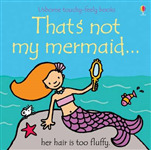 A touchy-feely book suitable for little princesses everywhere. 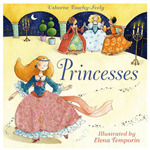 It follows the beautiful princesses as they spend the day going for a walk in the forest, eating picnics and attending a masked ball before climbing into bed for a well earned rest. Contains various activities to do on every day of the year including a flag chain, fabric collages, leaf printing, spoon-people, door signs, gift tags, and dangly cowboys to make, draw and paint. A large-format cloth book for baby boys. It features bright and colorful scenes that show dinosaurs, rockets, tractors, boats and dogs. It also features touchy-feely patches, flaps and squeaky surprises. A large-format cloth book for baby girls. It features bright and colourful scenes that show bunnies, birds, butterflies, flowers, and kittens. It features touchy-feely patches, flaps and squeaky surprises. Suitable for little children, this book introduces the animals and sights familiar to the farm, including tractors, cows, sheep and pigs. It features touchy-feely patches and textures. 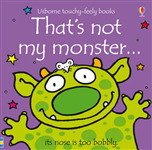 Part of the "That's not my..." series, this title combines bright, colourful illustrations with a variety of different textures to touch and feel on the pages, helping very young children develop important language and sensory skills.